Note: Installing the Smoothwall System will ERASE ALL DATA from the computer’s hard disk/storage device. This includes any inserted USB storage device. Ensure that all valuable data is safely backed up before you continue. You use the advanced installation method to install those drivers needed for your hardware, setup swap partitions, or use configuration from a previous installation for restoration or failover purposes. 4. Press the space bar to access the advanced installation options. 5. If you are installing on a computer which requires non-standard drivers, you are prompted to install them now. If you are not installing drivers, select Done, press ENTER and go to If more than one hard disk, or storage device is detected, you are prompted whether to enable software mirroring. 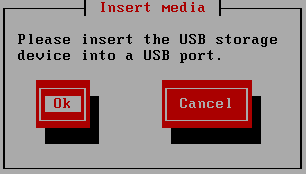 Else, select the medium on which the drivers are stored. Select Ok and press ENTER. 6. You are prompted to insert the medium. Insert the medium into the appropriate drive and press ENTER. The installation program loads the drivers. 7. Press ENTER. to complete the driver installation. 8. Repeat You are prompted to insert the medium. to Press ENTER. to complete the driver installation. to install more drivers. To continue, select Done and press ENTER. 9. If more than one hard disk, or storage device is detected, you are prompted whether to enable software mirroring. To enable software RAID 1 support, select Yes and press ENTER. Continue the installation at You are prompted whether to create swap partitions. Note: When using a hardware RAID device, the first volume on the first detected RAID card will be used. This is typically set up by RAID BIOS. Or, select No and press ENTER to continue. 10. If you said No to RAID 1 support, choose whether to use the 2nd disk as a separate store for log files. This is mostly useful if the two disks are different sizes, in which case, the bigger disk should be second one and the smaller (OS) disk should be the first one. It also works in Hardware RAID setups. 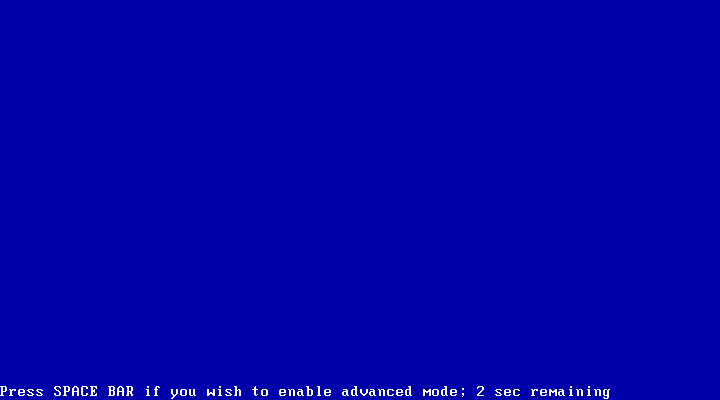 An example would be: volume 1: 2 disks in Mirror (OS) and volume 2: 4 disks in RAID5 (Logging). 11. You are prompted whether to create swap partitions. 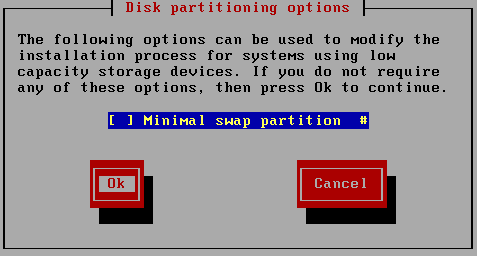 To create a swap partition, select Minimal swap partition and select Ok, else select Cancel to continue. • Log to RAM Disk — By default, all logs are stored on the local hard disk. Selecting this option stores the logs in RAM to reduce disk storage requirements. Note: Logs are lost at reboot when operating in this mode. RAM disk logging uses a maximum of half of the system’s RAM. RAM disk logging is not recommended for systems with less than 128MB of RAM. • Minimal swap partition — Select this option to reduce swap partition requirements. 13. Select Ok again to continue. The installation program prepares the computer and installs the software. Note: The installation process ERASES ALL DATA from the computer’s hard disk/storage device. This includes any inserted USB storage device. Ensure that all valuable data is safely backed up before you continue. This screen is the last opportunity you have to cancel the installation process before data is deleted. Smoothwall cannot be held responsible for any loss of data. 14. The Modules screen appears after the main installation. Select the modules you want to install, select Ok and press ENTER to continue. 15. When installation is complete, you are prompted to reboot. Press ENTER to reboot your Smoothwall System. 16. Once the reboot has completed, you are prompted whether to restore an existing archive. Select Yes and press ENTER to continue. To skip archive restoration, select No and press ENTER to continue. Go to Choose your keyboard layout, using the spacebar to display the keyboard options, and the arrow keys to move up and down the list. • CDROM — Migrate/restore settings using an archive stored on a CD. • Floppy disk — Migrate/restore settings using an archive stored on a floppy disk. Note that the media type options are dependant on those available to your chosen hardware platform. 18. Insert the media containing the archive of migration settings, select Ok and press ENTER. 19. Select the relevant archive. The Smoothwall System restores the configuration. 20. Choose your keyboard layout, using the spacebar to display the keyboard options, and the arrow keys to move up and down the list. 21. Configure a hostname for your Smoothwall System. We recommend that you only use lowercase characters in the hostname. The default hostname is smoothwall.local, however, if there are multiple Smoothwall Systems, you must identify them using unique hostnames. If your Smoothwall System is going to integrate within an existing network infrastructure that uses domain name structuring, enter a fully qualified hostname that is appropriate to the system’s position within the hierarchy. 22. 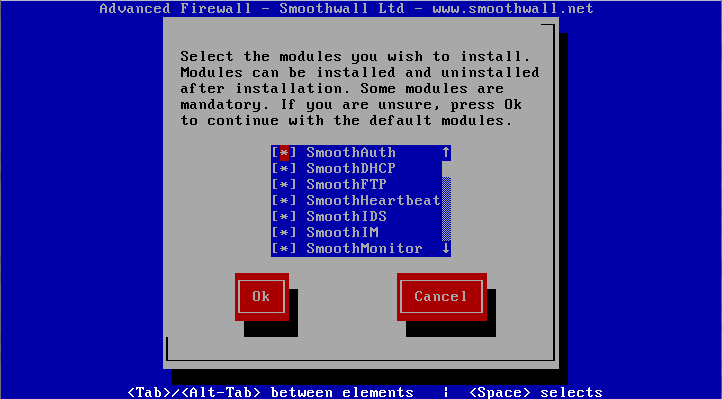 You are prompted to configure the interface used by the administration user interface to access the Smoothwall System. You configure all other interfaces separately, for more information, see Working with Interfaces and Roles . 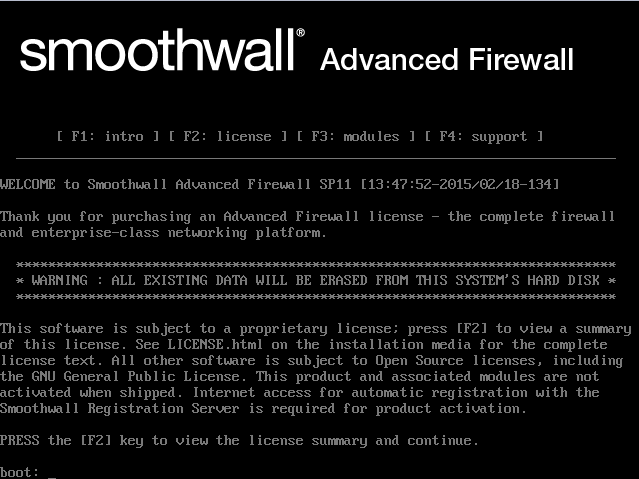 • IP address — The IP address of your Smoothwall System’s NIC on your internal network. • Gateway — If a gateway is required, press the spacebar, and from the menu, select Enter an IP address. 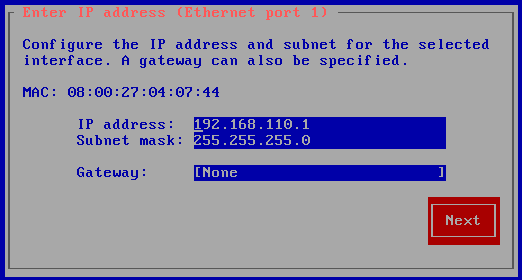 Enter the IP address of the gateway that your Smoothwall System should use. 24. If you have a Secure Web Gateway (Software) serial, you are prompted to configure the Domain Name Services (DNS) servers. If you have a Unified Threat Management (Software) serial, go to You are prompted to configure passwords for the administration user accounts. If your Smoothwall System is going to be integrated into an existing DNS infrastructure, such as when using an Active Directory server, enter the IP address of the appropriate DNS server within the existing infrastructure. • Secondary DNS — The IP address of a secondary DNS server, if one is available. 25. You are prompted to configure passwords for the administration user accounts. • Password — Enter a strong password for your Smoothwall System’s “admin” account. The “admin” account is used for access via the web interface. • Again — Reenter the password to confirm it. Select Next and press ENTER. 26. You are prompted to configure passwords for the root user account. • Password — Enter a strong password for your Smoothwall System’s “root” account. The “root” account is used for access via the SSH interface. 27. Your Smoothwall System now reboots to complete the installation. 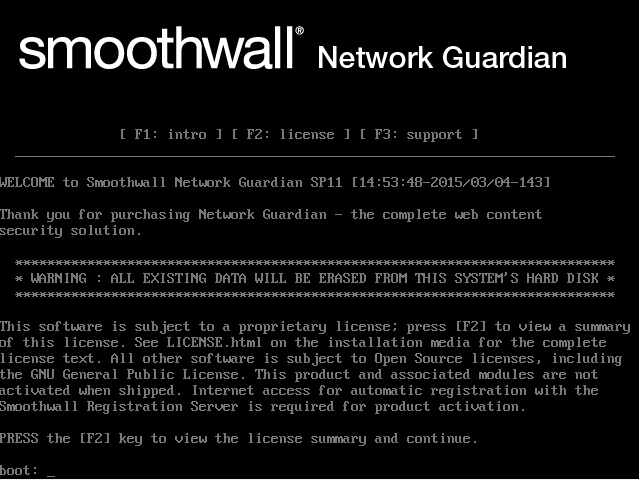 After rebooting, you can access your Smoothwall System from a network client running a web browser. For more information, see Accessing the Smoothwall System .